This November, TBTI organized several sessions at the 70th Annual Conference of the Gulf and Caribbean Fisheries Institute (GCFI) in Merida, Mexico. The sessions were in line with the theme of the GCFI conference: “towards the sustainability of tropical fisheries strategies, models and tools”, and focused on sharing the lessons learned from the work done by the TBTI collaborators in Latin America and the Caribbean. Below is a short account of these sessions. Session 1 started by introducing the big questions about sustainability and viability of small-scale fisheries in Latin America and the Caribbean, under the concept of the new TBTI book on ‘Viability and Sustainability of Small-Scale Fisheries in Latin American and the Caribbean’ that will be launched in early 2018. Presenters showcased several case studies from the book, which depicted the following issues: the role of artisanal fishers in conservation and resource management in Mexico, from fishing to data collection; the implications of institutional and legal framework for small-scale fisheries development in Brazil; and stewardship for sustainable small-scale fisheries. The presenters examined factors and conditions for sustainability and viability of small-scale fisheries and questioned whether current policies and institutions adequately support small-scale fisheries for them to become viable and sustainable. Participants worked in small groups to consider the challenges in more details, and offer recommendations for success. Implementing the Small-Scale Fisheries Guidelines in Latin America and the Caribbean: What will it take? 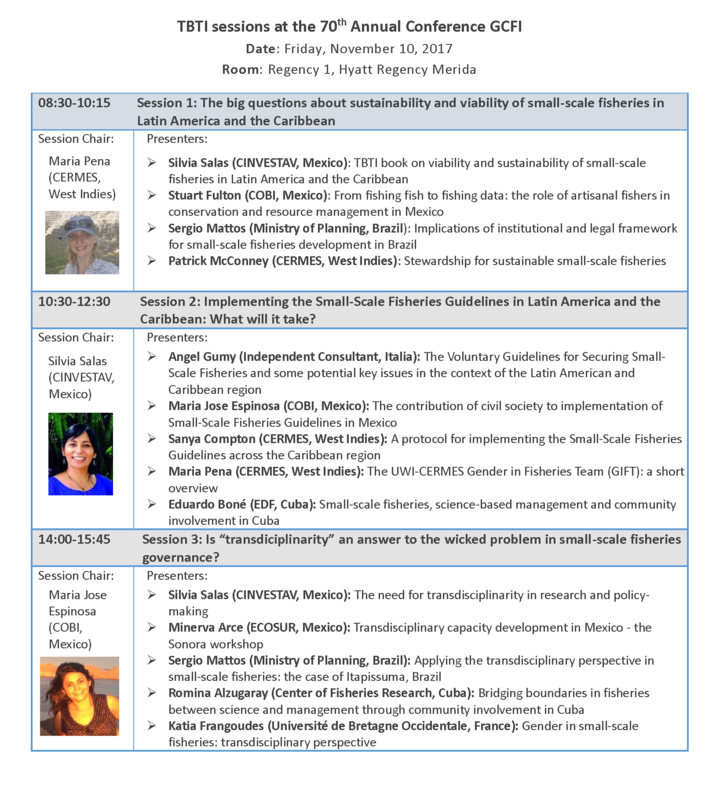 Session 2 focused on the challenges and uncertainties for the implementation of the Small-Scale Fisheries Guidelines in Latin America and the Caribbean. The objectives and principles of the Voluntary Guidelines for Securing Sustainable Small-Scale Fisheries in the Context of Food Security and Poverty Eradication (SSF Guidelines) were presented, highlighting some of the key issues for their effective implementation in Latin American and Caribbean region. The rest of the session explored the following topics: the strategic role of the civil society for the implementation of the SSF Guidelines, depicted through an example of how Mexican stakeholders engage and commit; the importance of having a protocol for implementing the SSF Guidelines across the Caribbean region; the importance of gender as a fundamental component that can foster stakeholder integration and facilitate search for a common vision in the Latin American and Caribbean region; and science-based management and community involvement in Cuba. The SSF Guidelines touch upon many important principles, including human rights, and aim to address a range of social, ecological, economic and governance issues that are complex and politically contentious. The presenters demonstrated how early lessons and reflections on ways to overcome obstacles and support the implementation of the SSF Guidelines at various levels, scales and locations, can be useful for the development of the SSF Guidelines implementation strategies. Is 'transdiciplinarity' an answer to the wicked problem in small-scale fisheries governance? Session 3 questioned if a “transdisciplinary approach” is an answer to the wicked problems in small-scale fisheries governance. TBTI identified the need for transdisciplinarity in research and policymaking, an approach which involves engaging non-scientific actors. Presenters shared studies on transdisciplinary capacity development (Mexico); applying the transdisciplinary perspective in small-scale fisheries (Brazil); and bridging boundaries in fisheries between science and management through community involvement (Cuba). The session ended with a discussion on how practitioners can address issues such as gender in small-scale fisheries through a transdisciplinary perspective. 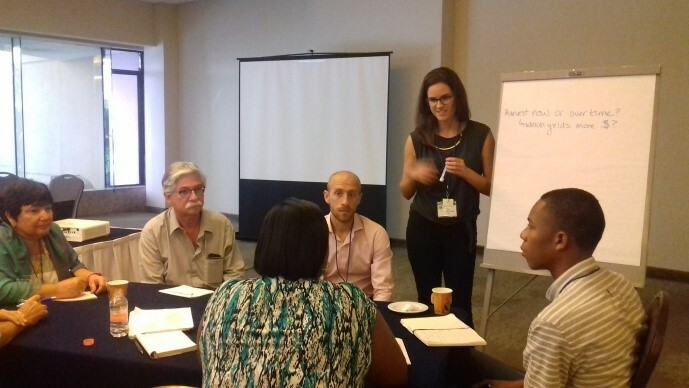 For a more detailed account of the event, read a summary report of the TBTI sessions at the 70th Annual Conference GCFI. 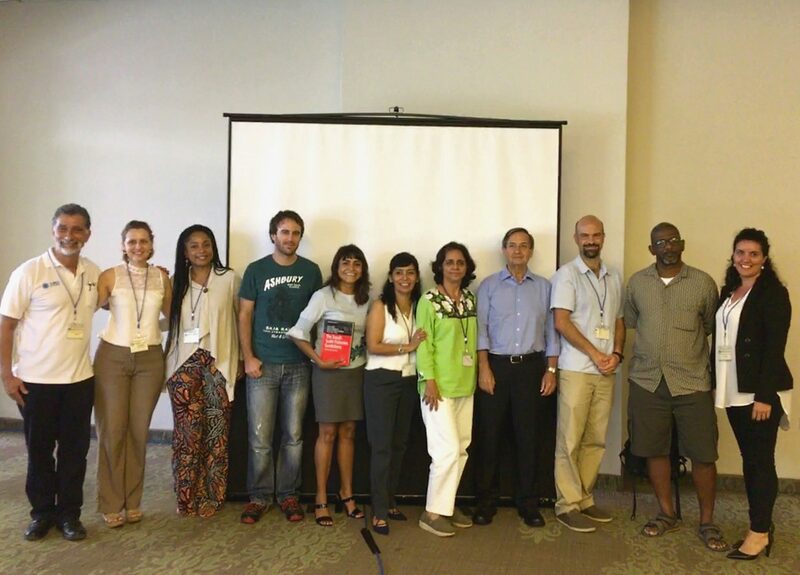 To read about the TBTI activities at the GCFI conference from a student's perspective, be sure to check the summary written by Eva Coronado, TBTI PhD students at CINVESTAV, Mexico. Group photo of the TBTI sessions' panelists. From left to right: Sergio Mattos, Maria Pena, Sanya Compton, Stuart Fulton, Maria Jose Espinosa, Silvia Salas, Minerva Arce, Angel Gumy, Eduardo Boné, Patrick McConney and Romina Alzugaray.